Looking for something special for your Girl Scout Troop or for a special troop award? 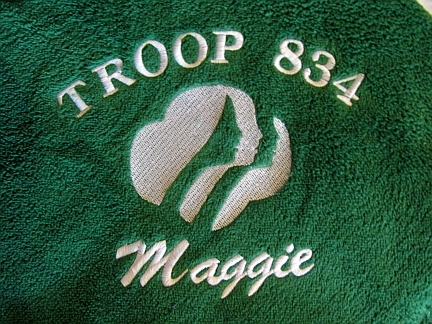 This lightweight fleece throw featuring the Girl Scout trefoil will be perfect! Add her name & Troop Number for a unique gift she will cherish! Throw color may vary. Please email me to request a color or to check stock available.